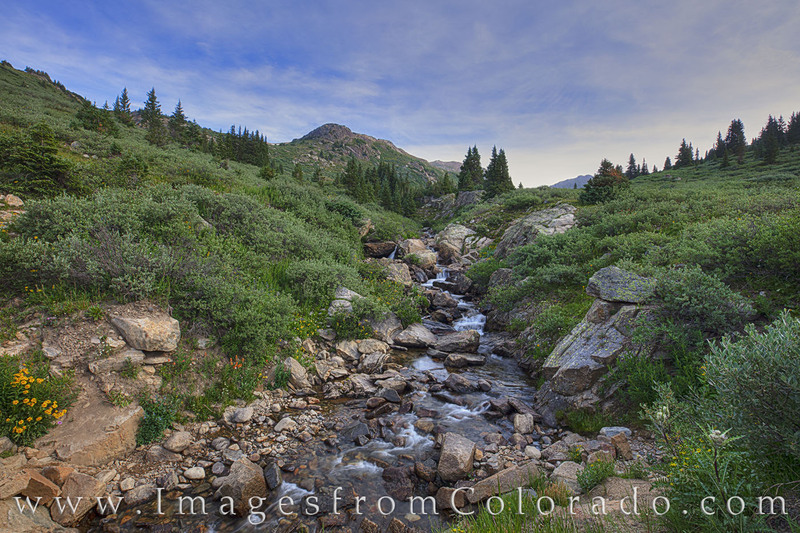 Just west of Aspen, Colorado, along Highway 82, this little stream flows down from high up in the mountains. Found at the start of the Lost Man Lake Trailhead, the this stream runs along the trail from Independence Lake, in a beautiful alpine setting. Photo © copyright by Rob Greebon.